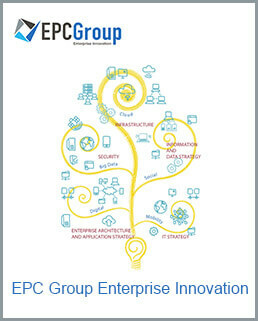 EPC Group’s industry recognized custom workflow development and business process automation practice covers the full spectrum of SharePoint 2019, Office 365, SharePoint Online and Microsoft Azure which enables us to develop enterprise solutions that are compatible for any architecture regardless of a public, private or hybrid infrastructure. Our tailored approach enables us to develop solutions for our clients with future compatibility and scalability in mind. Our development team also provides for deep expertise around the development of custom .NET solutions and applications that may reside outside of the SharePoint and/or Office 365 platform or interact with it to meet a specific business need for your organization. There has been a complete update to SharePoint 2019’s workflow capabilities and overall workflow architecture, as shown in image below, with new features as well as the underlying workflow engine itself receiving a major overhaul. EPC Group’s SharePoint and Office 365 hybrid development team walks you through our best practices and strategies regarding your workflow development project to ensure the business requirements seamlessly align with the technical requirements that are being put in place. The workflows in SharePoint 2019 run within Workflow Manager by services, processes and logic received from SharePoint 2019. This means these processes moved to Workflow Manager no longer have to run in the SharePoint 2019 content farm and can utilize separate server resources and are decoupled from SharePoint to also support other platforms. Some of the driving factors of these changes were around being able to provide a workflow solution to SharePoint 2019 and Office 365 users that would be able to function in an independent manner and bypass any possible performance or scalability limits of SharePoint with on-premises, cloud and hybrid cloud in mind. Workflow Manager has a new infrastructure, built on Windows Workflow Foundation 4.5 (WF 4.5), and is a fully declarative authoring environment that enables your organization’s information workers the ability to use tools such SharePoint Designer 2013/2019 and Visio 2016 to ensure the creation of workflows in a very visual and “swim lane” diagram type manner, as shown in image below. There are a new set of Visual Studio 2013/2016 workflow project templates for developers to craft very complex workflows with custom actions and capabilities to provide enterprise-level workflows to the masses. It’s important to note that Workflow Manager is a separate download and must be configured to communicate with the SharePoint Server 2019 farm. Note: InfoPath also supports elements of SharePoint 2019 workflow but with Microsoft phasing InfoPath EPC Group would not recommend using InfoPath for this or any other custom development requirement in SharePoint. To ensure a seamless experience across both on-premises and cloud-based environments, Workflow Manager integrates with the new SharePoint 2019 app model which enables workflows to reside in SharePoint 2019, Office 365, SharePoint Online and Microsoft Azure. The integration with the SharePoint 2019 app model allows organizations to use the APIs, web services and design templates available within this new technology release. This has provided developers the ability to create “workflow specific apps” for the automation of very common manual processes with in the organization and EPC Group has been seen to provide an instant boost to overall SharePoint user adoption. If your organization has legacy SharePoint 2010 workflows that need to be utilized within the SharePoint 2019, you can look into using the SharePoint workflow Interop. This feature is a “bridge” between the two platform which may meet your needs and save you from having to redesign a workflow that may be able to rely on this new feature. Workflow Manager, built on WF 4.5, allows for workflows to be extended via web services (REST base) and is multi-tenant capable which is key to the ability to service not only SharePoint 2019 but also Office 365, SharePoint Online and Microsoft Azure. The Microsoft Azure service bus, as shown in the image below, provides for the hosted and widely available infrastructure to allow for the massive communication elements required for workflows that have large-scale event distribution and service publishing. The service bus provides for the connectivity and available options for Windows Communication Foundation (WCF) and other service endpoints. The image below shows a high-level overview of a workflow that is processing and connecting to external locations. Development around legacy .NET applications as well as custom applications development on any widely available development framework including Java etc. Development for other major Microsoft platforms such as BizTalk, Project Server (PWA), Dynamics etc. Integration and migration solution development for SharePoint and legacy ECM\RM platforms such as Documentum, LiveLink, FileNet, eRoom, Lotus Notes, Oracle etc. From there we will create a roadmap and provide detailed planning and estimations on any and all custom applications that are needed. All of EPC Group’s Managed IT Services packages are tailored to your company’s specific needs and we will work with you to put together a detailed package that is both cost effective and robust.